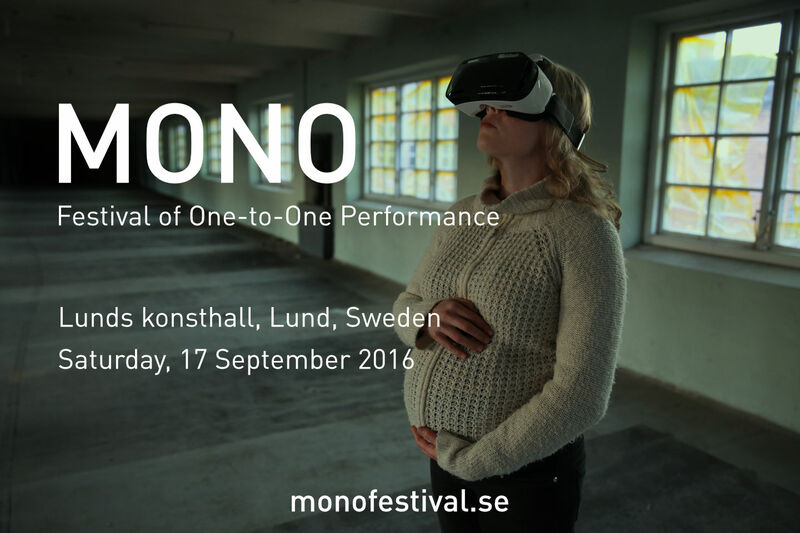 2016 was the inaugural year of Mono Festival, Sweden's first festival of one-to-one performance. 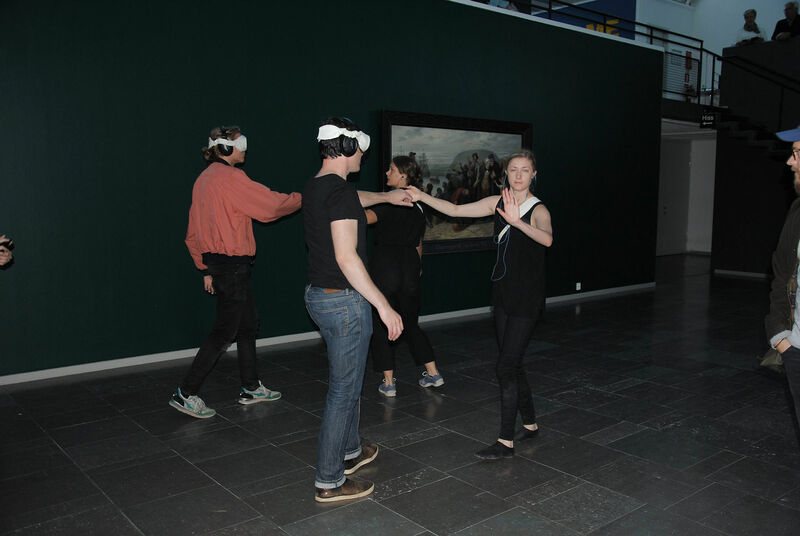 Mono 2016 took place on Saturday 17 September 2016 at Lunds konsthall, Lund, Sweden, in partnership with Lunds konsthall and with the support of Lunds kommun with Framtidens kultur. 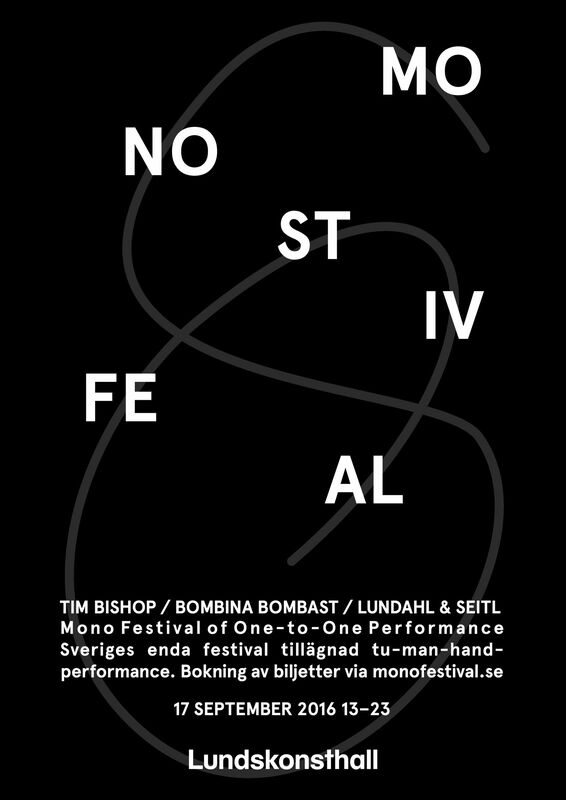 In its first edition, the festival featured three Sweden-based artists: Bombina Bombast, Lundahl & Seitl, and Tim Bishop (also curator and director of Mono). 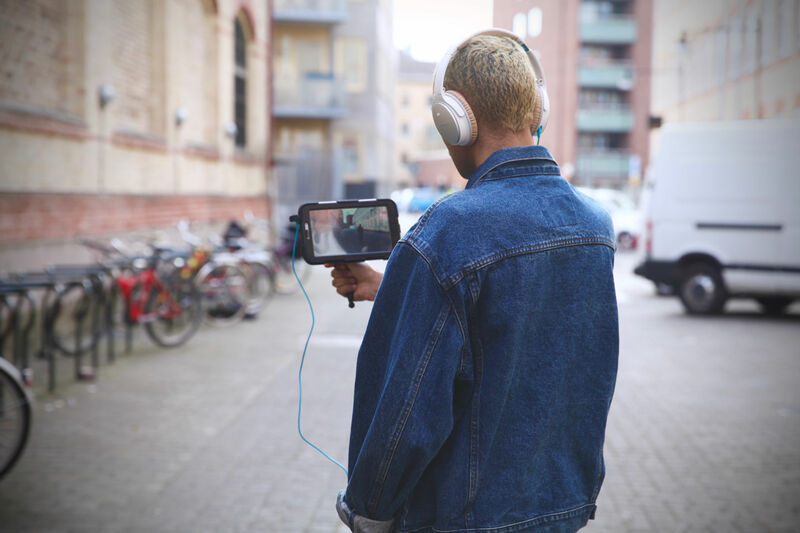 The festival's ambitious one-day programme sold out quickly, with 85 people getting to experience 65 performances of 4 different works performed across 10 hours in and around the spaces of Lunds konsthall. 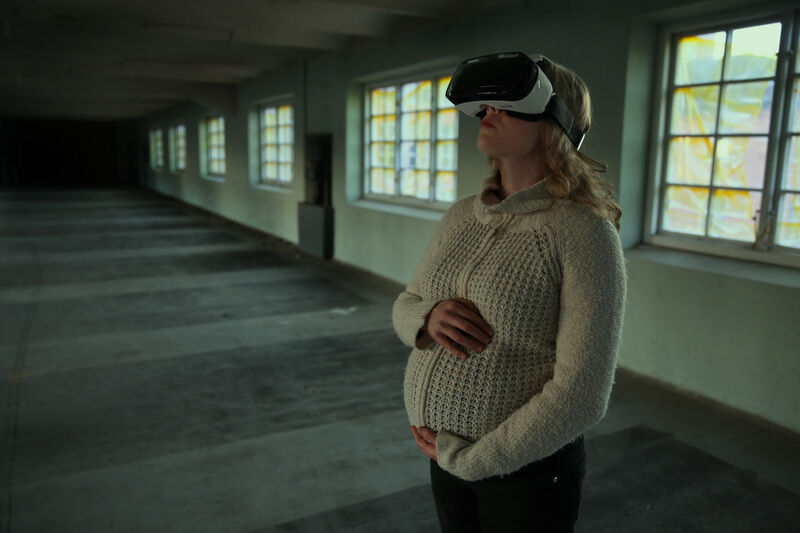 Virtual reality performance with physical interaction that puts the visitor in the middle of a horror film. 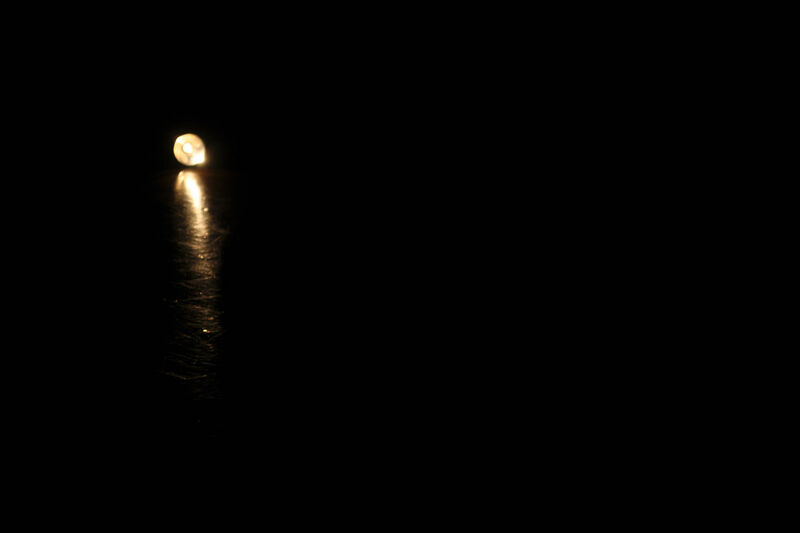 A one-to-one encounter in a dark corridor, where strangers meet with a sense of déjà vu. 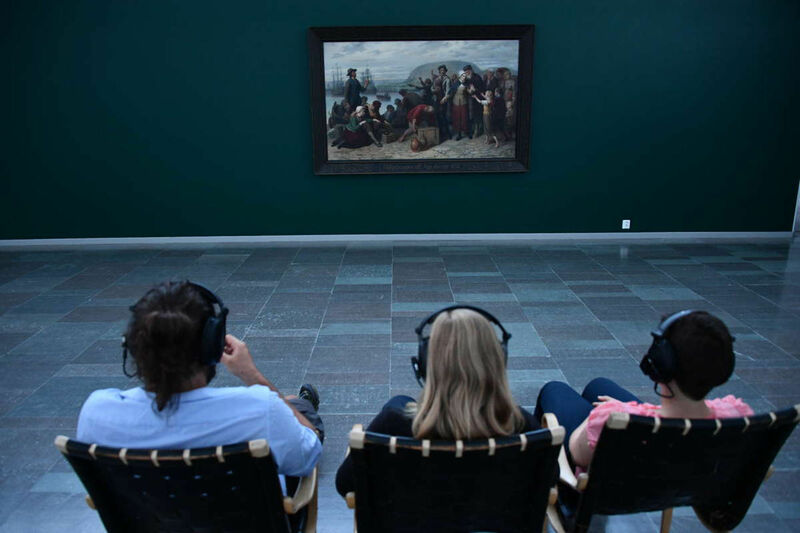 Responding to the curatorial vision of its host, this artwork turns its gaze inwards to take place in the visitor’s consciousness, existing in parallel with the space it inhabits. 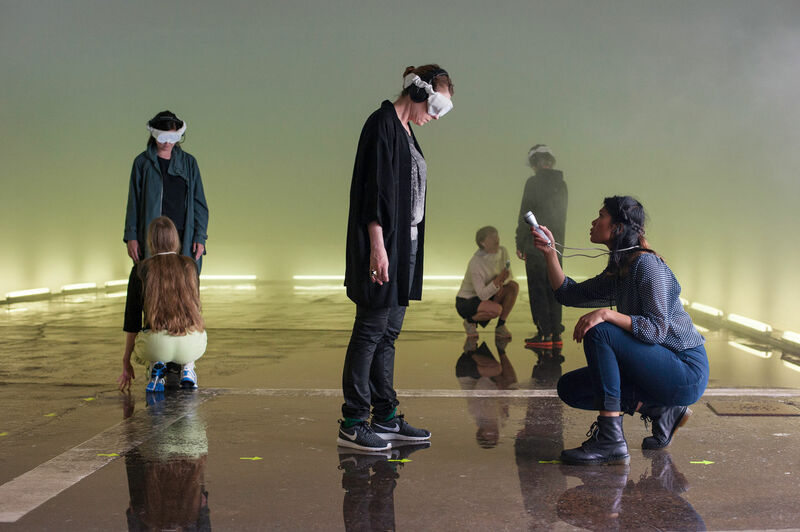 Walks: Superfake takes visitors one by one on a journey through the current exhibition at Lunds konsthall, taking credit for the artworks and tools on display.